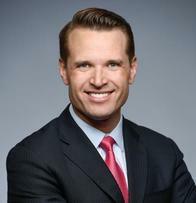 Aaron Supita is a Private Banker serving Morgan Stanley Wealth Management offices in Arizona. Aaron began his career in financial services in 2007, and joined Morgan Stanley in 2014. Prior to joining the firm, Aaron was a Senior Client Associate at JPMorgan Private Bank. Aaron received his Bachelor of Arts degree in Political Science and Legal Studies from the University of Wisconsin. He and his wife reside in Phoenix, Arizona. Outside of the office, Aaron volunteers with Habitat for Humanity and Feed My Starving Children. He also enjoys running, biking, and hiking.